You can change the name associated with your account, your password, and manage email preferences for your Harmony account. Select My account in the top right corner. Update your first and last name. Update your current country location. Change your password and security question/answer. Click Manage email preferences to subscribe or unsubscribe to emails from Logitech Harmony. 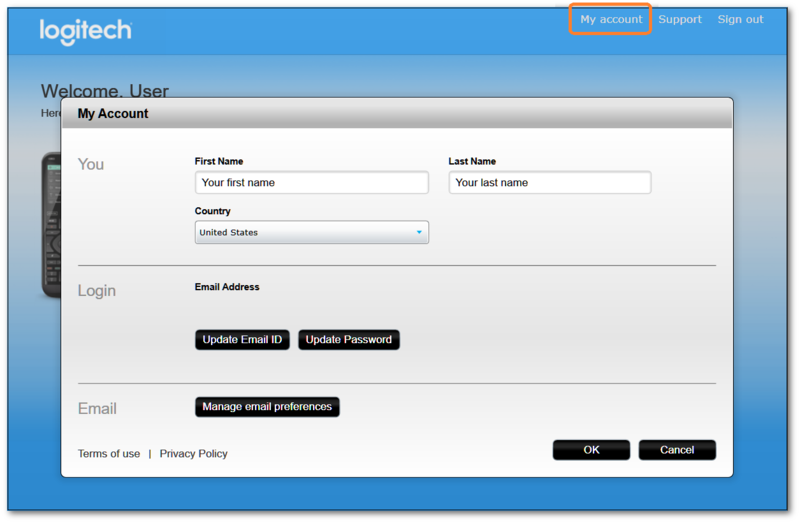 It is not possible to change the email address associated with the account.